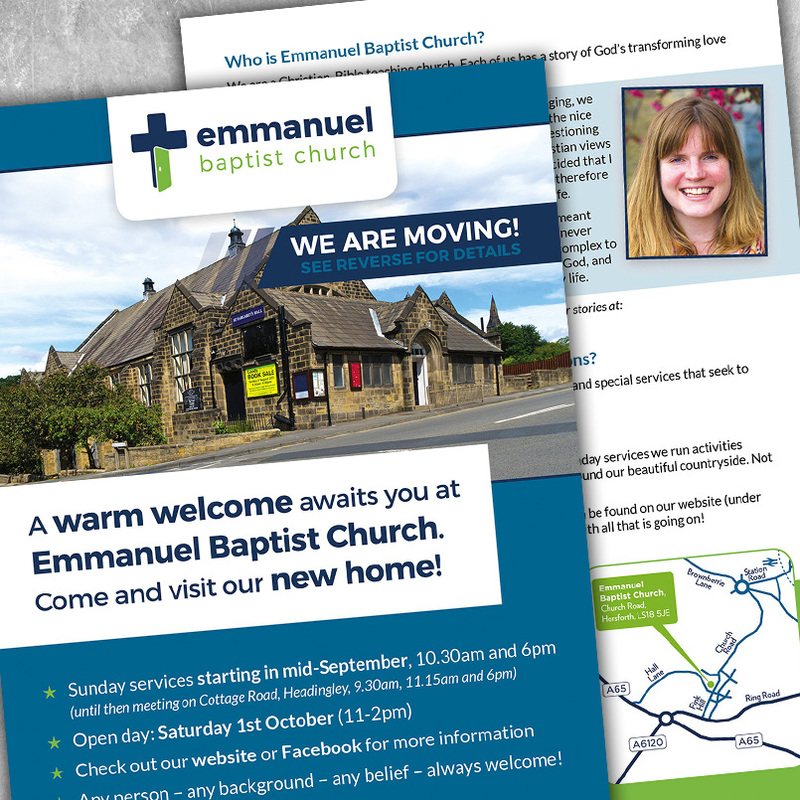 I have worked with Emmanuel Baptist Church (based in Leeds, West Yorkshire) on a number of graphic design projects. 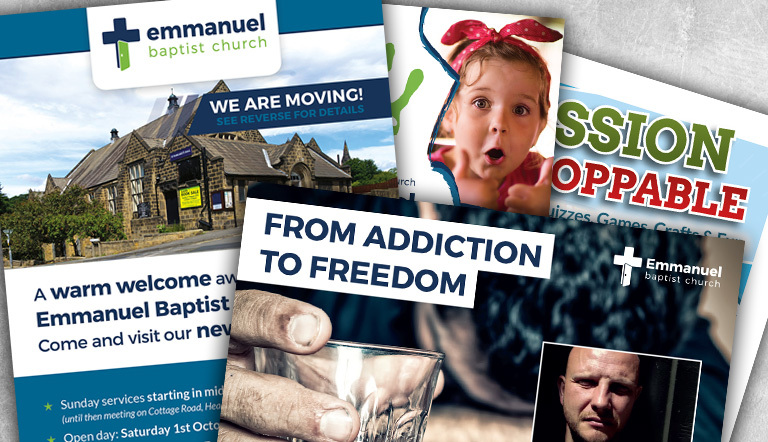 This has included a number of church leaflets. 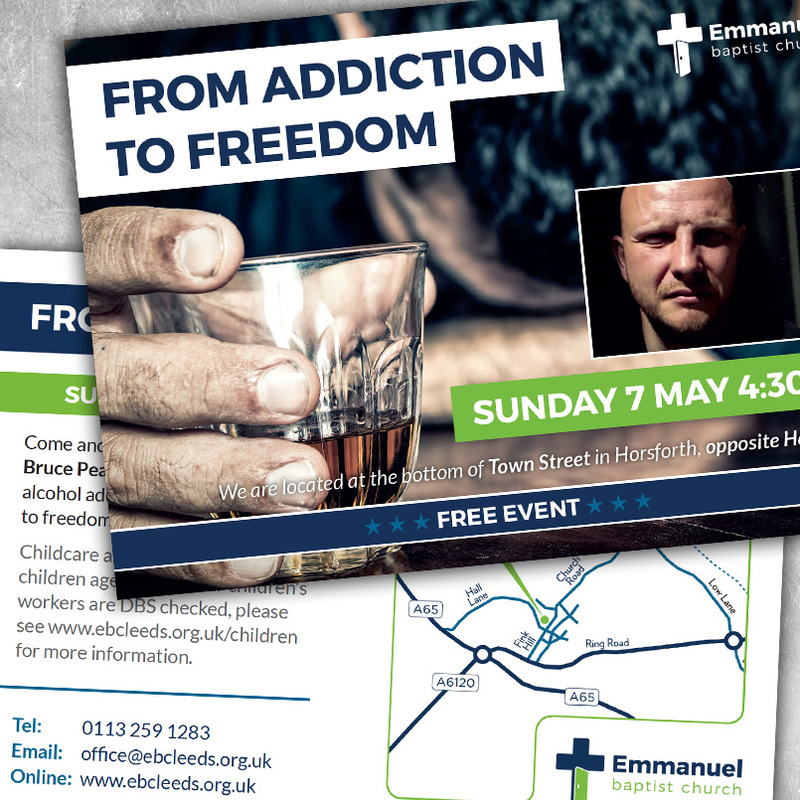 The leaflets have been used for giving general details of their meeting times and location, particular ministries and specific events. 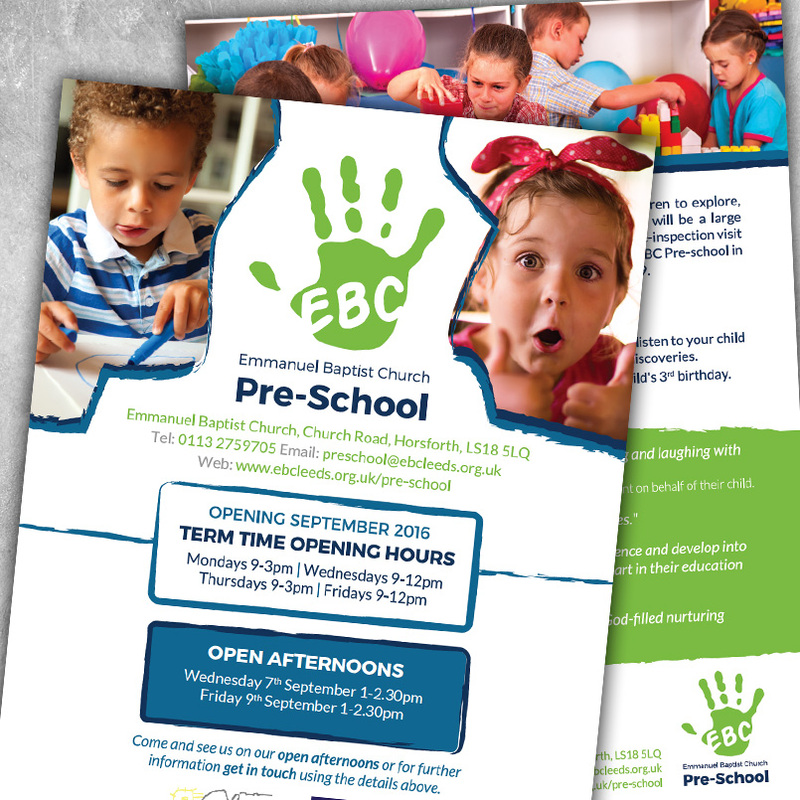 Emmanuel Baptist Church already had a well established visual brand that I have continued to work within and develop across various graphic design projects. The designs have utilised their strong blue/green brand colours, as well as using engaging photos and bespoke map elements.